A few days ago we took a boat tour on the Colorado River through the Topock Gorge north of Lake Havasu City. Because the Colorado River is low, we couldn’t make it to our destination, Pirate’s Cove, just north of Highway 40. 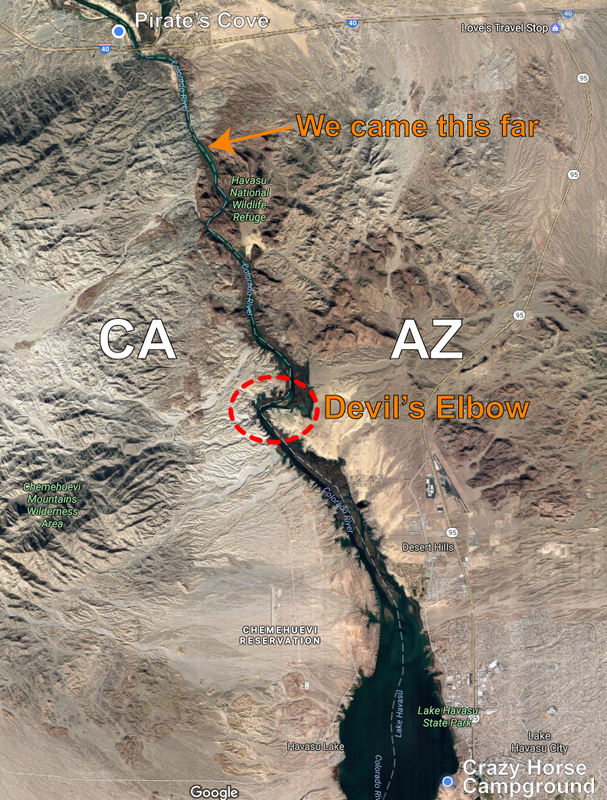 The “Devil’s Elbow” part of the river is where a lot of boat accidents occur because of the sharp turns. It was a fun trip on a sunny day which was a break in the recent week of rain down here. Here’s the trip in under 2 minutes . 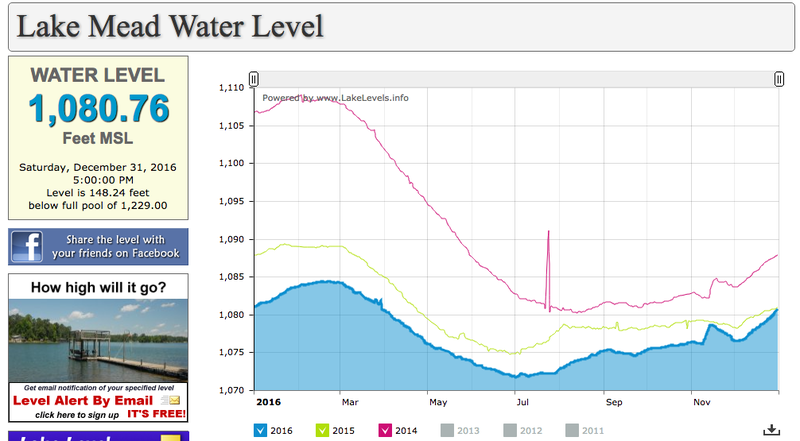 . .
One of the reasons the Colorado River is low in our parts is because Lake Mead is at record lows. When theLake Mead water level goes below 1075 feet, automatic water rationing starts. Lake Mead will come up when the Glen Canyon Canyon dam comes down!